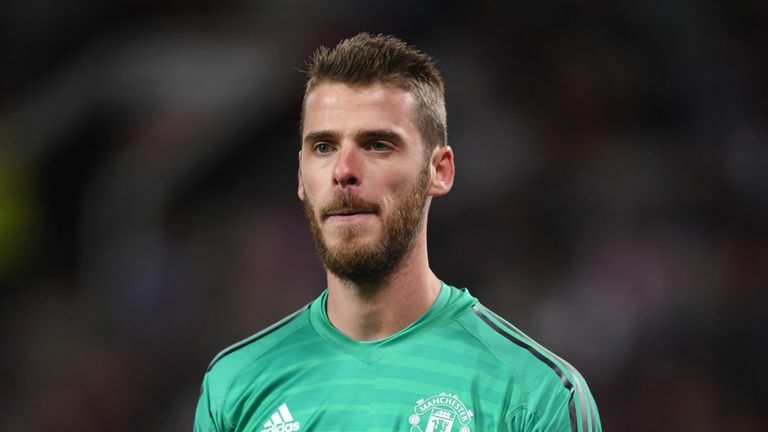 In a Sky Sports exclusive, David de Gea discusses his own form and admits his Manchester United team-mates must improve “in every area”. David de Gea is under no illusions. "I don't think it's been our finest season. We have to be realistic." Manchester United sit 10th in the Premier League, out of the Carabao Cup, and fresh from a defeat by Juventus where they were firmly second best. 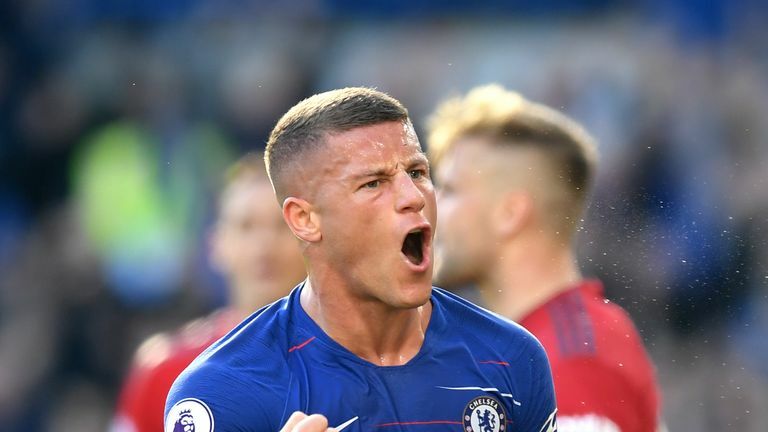 Their clash with Everton on Super Sunday, live on Sky Sports Premier League, is loaded with pressure, both on the players and manager Jose Mourinho after a flat start to the season. Can De Gea put a finger on what's gone wrong? Perhaps not, but he knows a confidence-boosting run of wins will go a big way to solving the issues. "The team has produced some good performances, while others haven't been so good. I think at times we've been relying on moments of brilliance from our attacking players. "We haven't been 100 per cent solid defensively. We are improving, but I think we have to improve in all areas. 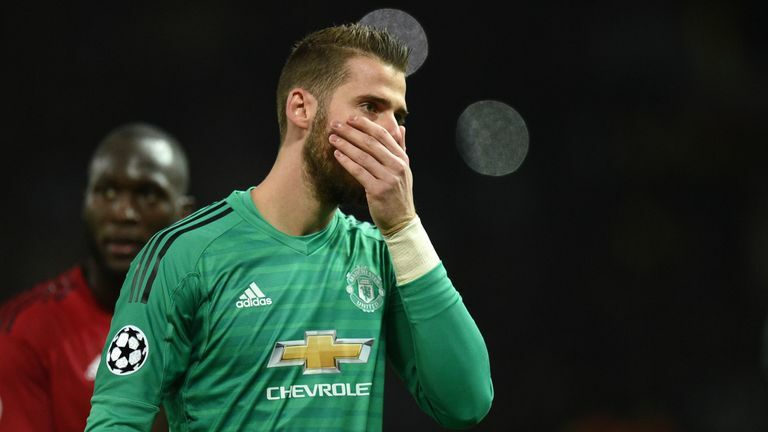 Jose Mourinho admits he is concerned goalkeeper De Gea will not sign a contract extension with United. "It's true that it seems we need to concede for the team to react, attack and create chances. I don't know the reason why. We have to control games, create chances and improve from the start. "We have to improve in every area. We have to look up, get some victories, put together four or five wins on the bounce and get ourselves up the table." Will De Gea make your team? Pick for Super Sunday here! After Everton, United go to Bournemouth, Juventus and then Manchester City. Not the run of games an out-of-form Premier League giant would want, but for De Gea, it's very much about the now. "I don't think it's the time to look into the future. I think we have to take it game by game. We have an important match on Sunday against Everton. "As I said, we're trying to get on a winning run, move up the table as soon as possible and battle to finish as high as we can. "I think the key lies in controlling the game, not giving our opponents any chances and being solid defensively. We have to start when the referee's whistle goes and all be 100 percent focused, particularly in the opening few minutes. We have to improve in every area. We have to look up, get some victories, put together four or five wins on the bounce and get ourselves up the table. "We will work well as a team if we do that. We have good players up front. We'll do what we've worked on in training and know how to do. We'll try to create chances, score goals and ensure the fans enjoy it." Four-time Player of the Year at United, De Gea is used to avoiding criticism even if the club are underachieving. But this season, and after a disappointing World Cup with Spain, De Gea's form has crept into question. He insists his mental toughness is part of being a goalkeeper, instilled at a young age, and says any mistakes are already behind him when the game kicks off again. "At the end of the day, we're goalkeepers and we live with making mistakes. We learn from a young age that you can make a mistake at any point. "I'm lucky enough to be mentally strong, which I think is fundamental for a goalkeeper. I don't obsess over mistakes because they do happen, so I just keep working and training hard. I just keep helping the team, which is key." Fresh from three straight Premier League wins against Fulham, Leicester and Crystal Palace, Everton will provide a tricky test. De Gea says United need to show quality in front of the Old Trafford crowd, and reiterated the need to start a winning run now. "It's a good test to see how the team is doing. We come into it after falling to defeat at Old Trafford against a very good side. "We have a chance to show what we want and that we're here to do everything we can to win. The three points are key, particularly at home in front of our fans. As I said, it's crucial that we start winning games and go on a good run to move up the table."